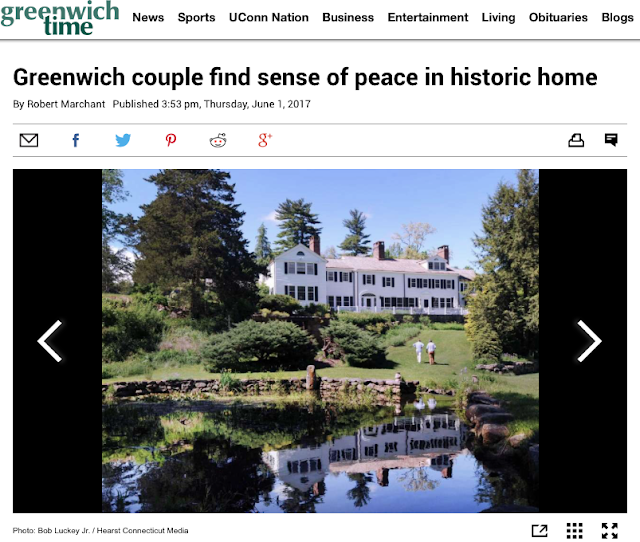 This story was just published today in the June 1, 2017 edition of Greenwich Time. The Jeremiah Mead House is located at 29 Taconic Road. The original section dates from the year 1751. 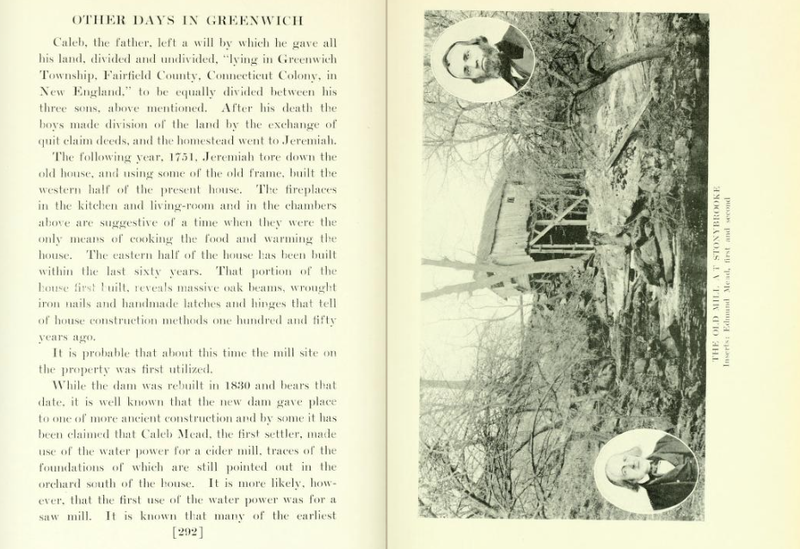 Mead family and Greenwich history buffs may recall that Stonybrooke has been portrayed before -in Judge Frederick Hubbard's book Other Days in Greenwich. You don't have a copy? Fear not; the Internet is at your service with this link to an online edition. Turn to page 291 and enjoy.